I’m going to introduce 4 spots in Kyoto where you can see other flowers in Kyoto beside cherry blossoms, like plum blossoms and wisteria. Kyoto is most famous for its cherry blossoms, but actually, there are many great spots in Kyoto where you can enjoy other flowers beside cherry blossoms too. All through the year, no matter when you visit Kyoto, the seasonal flowers like plum blossoms, irises, wisteria, Japanese hydrangeas, and many others make for elegant scenery. For those of you who want to see other flowers beside cherry blossoms, I’m going to tell you about four spots in Kyoto where you can enjoy Japanese gardens, shrines and temples, and seasonal flowers altogether. 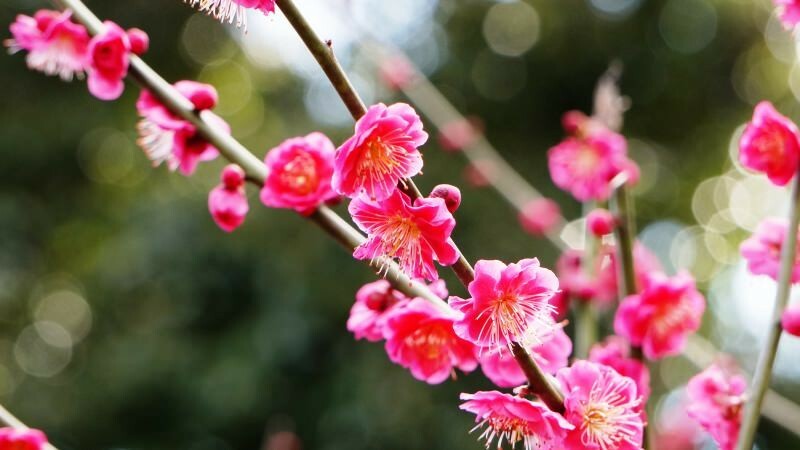 The best time to see plum blossoms is a bit earlier than cherry blossoms, from early February to March. 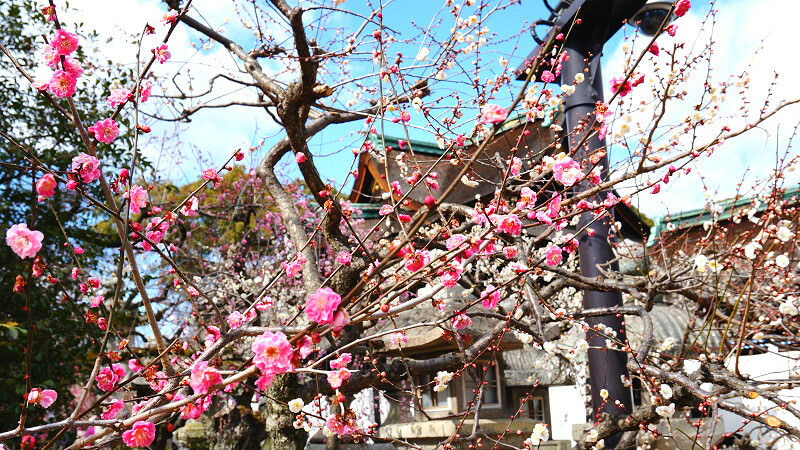 Kitano Tenmangu Shrine is especially famous as a place to view plum blossoms. Kitano Tenmangu has a plum blossoms garden, and the garden is open every year when it’s the plum blossom season. In the plum garden there are white and pink blossoms, and weeping plum trees, altogether over 50 types of plum trees! The plum blossoms look a lot like cherry blossoms, but the way all of them are diminutive, and how they bloom in a modest way is cute. 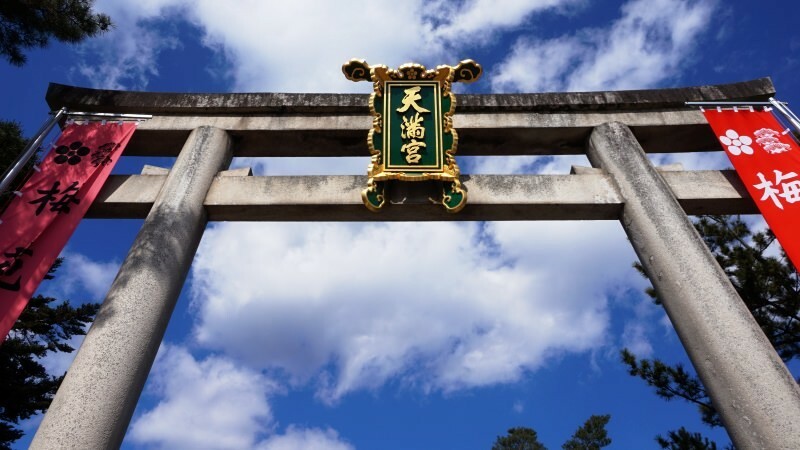 Kitano Tenmangu is dedicated to the god of learning, Sugawara no Michizane, and because Sugawara no Michizane loved plum blossoms the shrine became famous as a place to view plum blossoms. When the cold winter is ending and the signs of spring can be seen, the plum blossoms bloom. Plum blossoms are truly the flower of spring. Watching the plum blossoms at Kitano Tenmangu’s plum garden you can feel the spring arriving early. 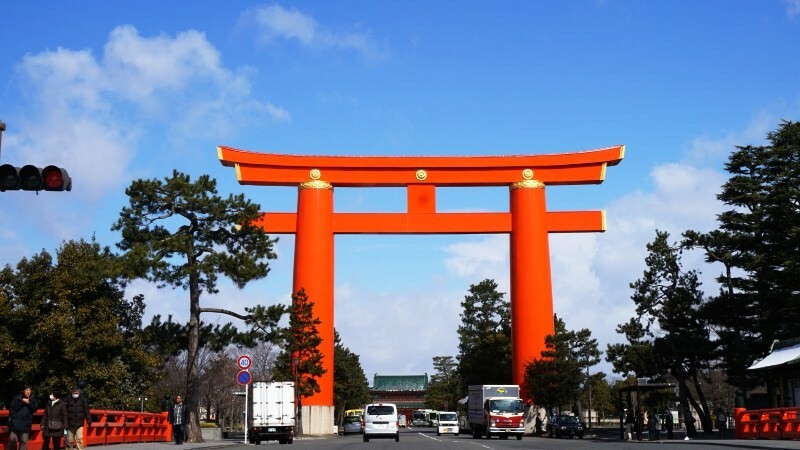 Heian Jingu Shrine is easy to recognize from their huge red torii gate. Heian Jingu’s Shin’en Garden is over 33000 square meters, and it’s known as a great place to see flowers all through the year. 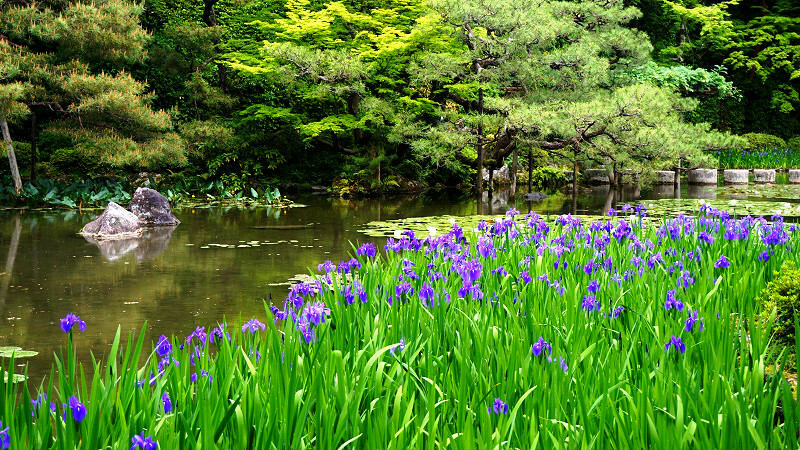 The irises that are at their best in May and June color the Shin’en Garden’s pond violet. The Shin’en Garden of Heian Jingu Shrine is made out of the pond and four gardens around it, so it is a chisen kaiyu shiki garden, which means that it is a strolling garden with a pond in the middle – and you can enjoy the landscape of the pond and the flowers. The cute water lilies on top of the pond are at their best in early summer in June. 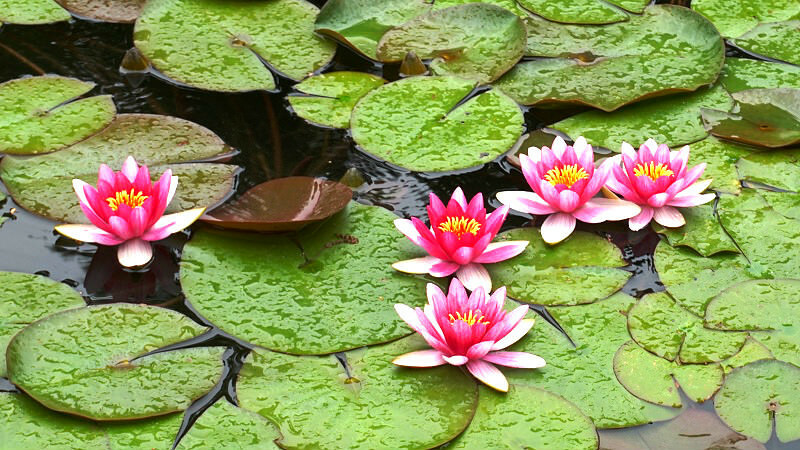 As water lilies close their flowers in the afternoon, it’s best to go see the pink and white flowers in the morning. The best time to see these flowers is during the rainy season, but of course one would wish to see them when the weather is nice, but water lilies on a rainy day do have their own elegance. Taizo-in Temple is a sub-temple of one of the biggest Zen temples in Japan, Myoshin-ji, and Taizo-in is famous for their weeping cherry trees. But Taizo-in is not only about cherry blossoms. 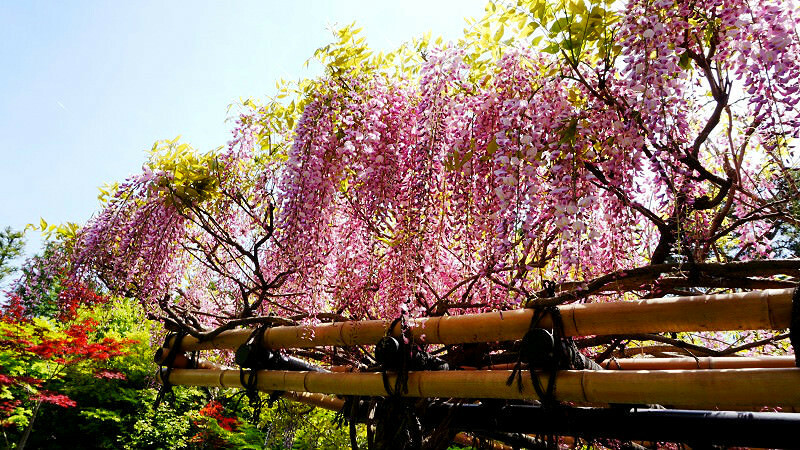 Many flowers can be seen at Taizo-in all though the year, but my recommendation is the wisteria that can be seen in April and May during the season of fresh green leaves. By the garden’s pond, there is also a trellis from which the blooming wisteria hang from, making the garden even more gorgeous. 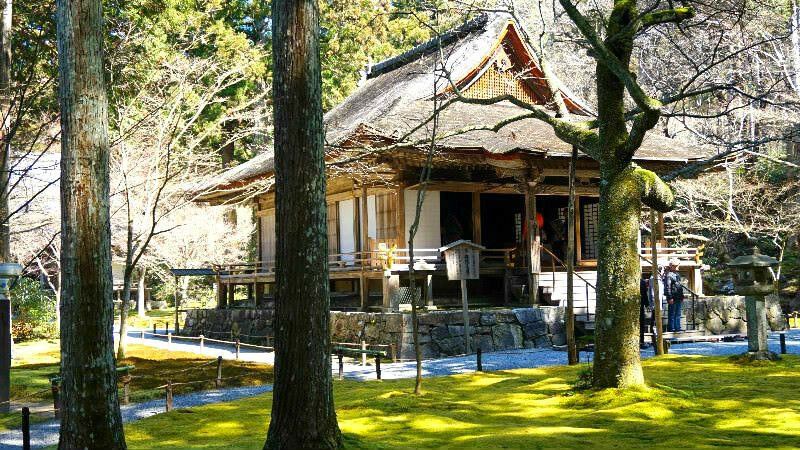 Taizo-in is some distance away from the center of Kyoto, and after the cherry blossom season, there are not that many people at the temple so you can take a leisurely stroll through this great spot off the beaten path. 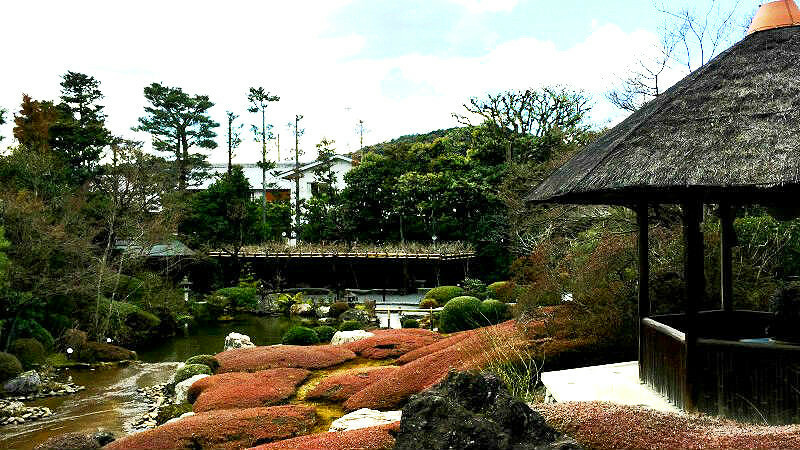 Sanzen-in is a temple in Ohara that is famous for its tasteful garden. The temple is also famous as an autumn leaves viewing spot. Since the temple is in a quiet mountainous area it’s surrounded by nature. And Sanzen-in is most famous for their hydrangeas. In the middle of June, their hydrangea garden with over 3000 hydrangeas is opened to the public. 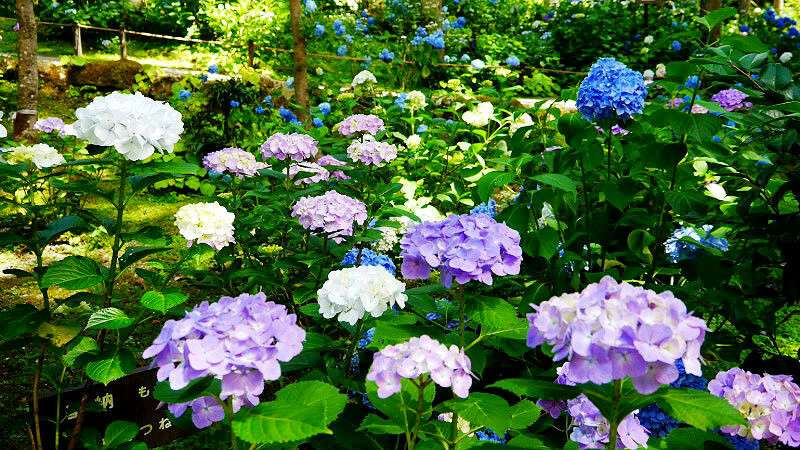 Besides regular hydrangeas, they also have rare hydrangeas in the garden, and the garden can even be said to be the best place in Kyoto to see hydrangeas. The hydrangeas bloom when it’s the rainy season in Japan, but seeing the hydrangea wet is also something quite special. Kyoto is most famous for cherry blossoms and autumn leaves, but there are many flowers to see in other seasons too. The most attractive thing about Kyoto has to be the shrines and temples that can be seen with the flowers. All of the flowers have their own unique charms so I hope you will go see them all.